Stories from Backstage – Page 2 – Stories from Backstage is a storytelling project that brings audiences behind the scenes at the St. Louis Symphony Orchestra through articles, pictures, interviews, videos, and narration. St. Louis Symphony musicians Shawn Weil, Bjorn Ranheim, and Dave DeRiso have been visiting Jennings Jr. High School to help orchestra students learn all about the joys of music. 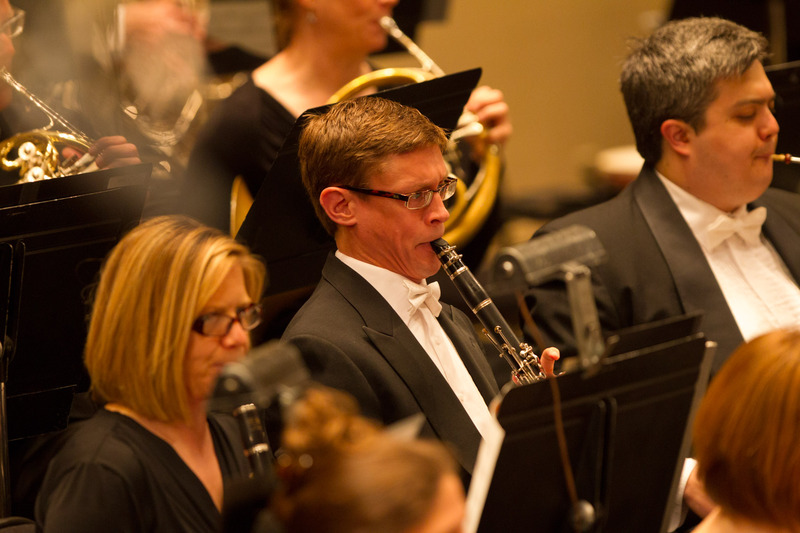 The visits are part of the St. Louis Symphony in Your School Program. The musicians are working closely with the students to prepare them for a performance at Powell Hall. James McKay Jr., the district’s orchestra teacher, said the visits help “inspire” his students. “Having someone who does this everyday, as a profession, shows them that there really is light at the end of the tunnel,” McKay Jr. said. The students aren’t alone in gaining inspiration from the program. Shawn Weil said “really enjoys” working with the students. “It’s definitely something that inspires me because you see the kid light up when they catch a concept,” Weil said. 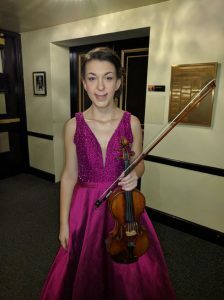 The Jennings Jr. High School students are set to perform at Powell Hall before the April 28th subscription concert. “It’s going to be fun,” Woodbury said. Felicia Foland, Carolyn White, and a brand new case cover. There is a new member of the St. Louis Symphony. 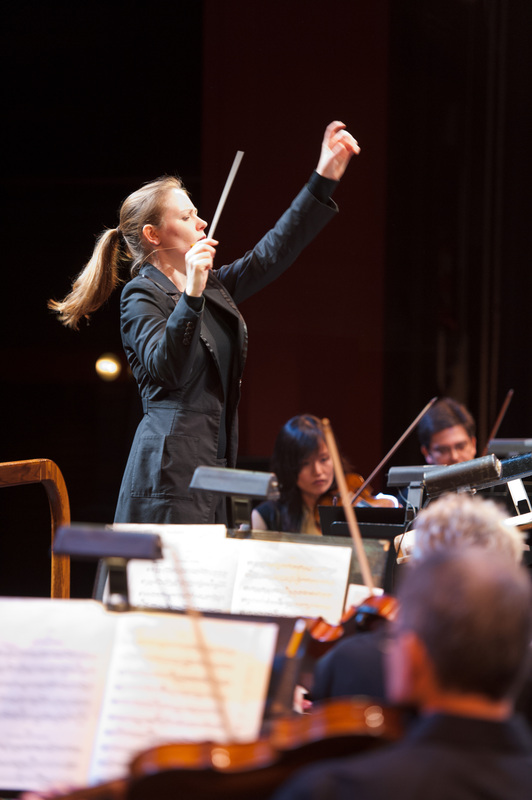 It is an addition that almost brought bassoonist Felecia Foland to tears. “I am just so happy,” she said. “I could cry.” Felicia has a brand new custom-made bassoon case cover. The red, black and gold cover is easy on the eye, but the process of getting the cover was hard. “I invested in a new case for my bassoon, but I could not find a cover that fit,” she said. That’s when Bassist Carolyn White jumped into action. Carolyn once made red sequins shoes for the entire orchestra to wear during a performance of the Wizard of Oz. The cover is waterproof and will help protect Felicia’s bassoon from cold winters and hot summers. It is also equipped with zippers that Carolyn ordered from New York, and It has a special pocket for bassoon reeds and sheet music. 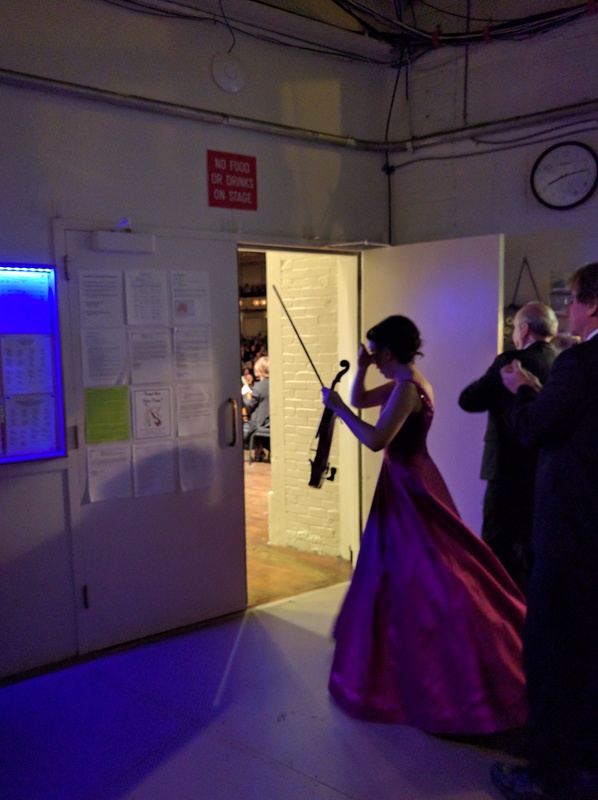 Felicia showed off the cover backstage during a recent STL Symphony rehearsal. ‘It’s just so beautiful,” she said. 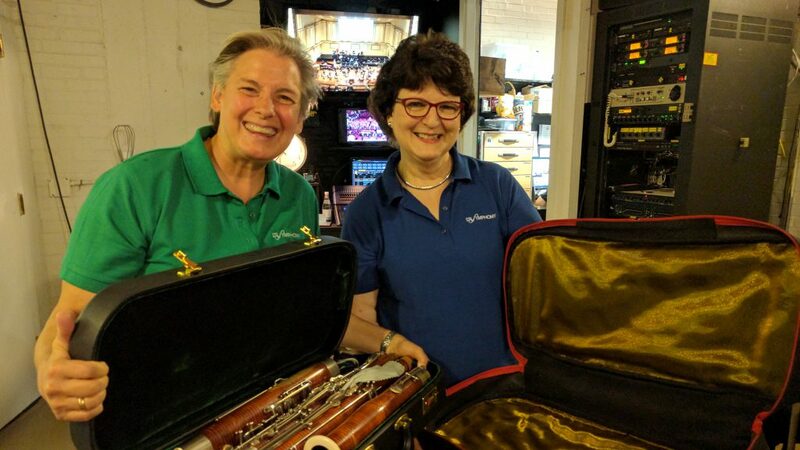 Some people might call the case a simple accessory, but for Carolyn and Felicia it is a symbol of the bond shared between STL Symphony musicians. Thursday will be my last day of employment at the St. Louis Symphony. I’m moving on to a new job at the Contemporary Art Museum St. Louis. I’ve been with the Symphony for 13 years, blogging for 12, somewhere in there a video blog got started with a pocket-size flip cam. When I started at the orchestra after Labor Day weekend 2003, I told my colleagues “I love being here and I love you for having me.” I still feel that. I’ve worked with some of the brightest, most talented, most passionate people I’ve ever met. Working alongside such folk, whether their business is on the stage or behind the scenes, has been a true gift for which I am most grateful. And I’ve enjoyed connecting with the blog audience over this time. I’ve had fun doing it and I hope you’ve had some fun following along. I have other wishes, other dreams, other passions to fulfill. The St. Louis Symphony will be a part of me always. But for all that Dialogue of the Double Shadow may make you and I think, or marvel at the technosound strategies, it is the magic and mystery it leaves behind when it is done that is most compelling. A haunting. These sounds you’ve heard–you will never hear them again. St. Louis Symphony eyes have stayed on the sky and on the radar, and a few people with barometers for knees have been consulted, and as of mid-afternoon Wednesday systems are go for the Forest Park concert. 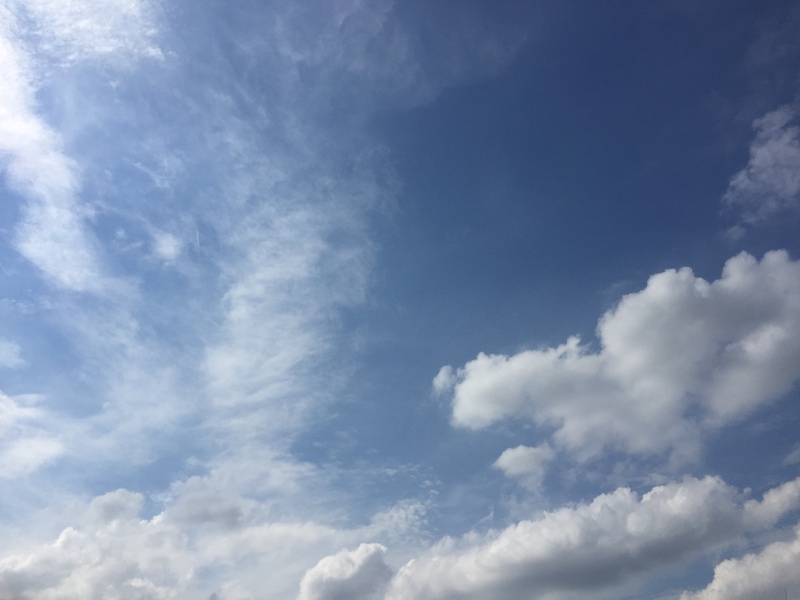 If the skies change, check the news, check our website, check our social media. For now, it looks like a great night to listen to the Symphony under the stars–and then fireworks!